The Beartooth Highway climbs to an astounding 10,947 feet above sea level. Since its completion in 1936, the highway has awed millions of visitors with astonishing views of one of the most rugged and wild areas in existence. With 20 peaks over 12,000' in elevation, the Beartooth Mountains lie within the 943,377-acre Absaroka-Beartooth Wilderness. Grizzly and black bear, elk, deer, moose, bighorn sheep, Rocky Mountain goats and mountain lions make their homes here! View or Download the 2014-2015 Edition of Northern Rockies Rider "Top Tours" Magazine - specifically the article on Cruising and Playing in the Big Horns at 9,000 feet. Located west of Greybull towards Cody, Wyoming. Public range begins 15 miles west (north/right side of highway) of Greybull on Highway 14/16/20. FOAL, Friends of a Legacy, is an organization of gracious souls trying to preserve and protect this wild horse herd and its heritage. Keeping mustangs wild and free! In 1864 the “rush was on” after gold was found in Montana. Discovering and using this trail was a safer route to Montana gold. Famous western mountain man, Jim Bridger, led wagon trains of folks on this trail to get to Montana to prevent more fights with Native Americans on the “Bloody Bozeman” Trail, east of the Big HornMountains. View map here. The Bighorn River is a tributary of the Yellowstone and flows approximately 461 miles from south to north through Big Horn County, with the Greybull and Shoshone Rivers flowing into it from the west. The upper reaches of the Bighorn, south of the Owl Creek Mountains in Wyoming, are known as the Wind River. The two rivers are sometimes referred to as the Wind/Bighorn. The Wind River officially becomes the Bighorn River at the Wedding of the Waters, on the north side of the Wind River Canyon near the town of Thermopolis. From there, it flows through the Bighorn Basin in North Central Wyoming, passing through Thermopolis and Hot Springs State Park. At the border with Montana, the river turns northeast, and flows past the north end of the Bighorns, through the Crow Indian Reservation, where the Yellowtail Dam forms the reservoir Bighorn Lake. The reservoir and the surrounding gorge are part of the Bighorn Canyon National Recreation Area. It is joined by the Little Bighorn River near the town of Hardin, Montana. Approximately fifty miles further downriver, it joins the Yellowstone. The river was named in 1805 by fur trader François Larocque for the Bighorn Sheep he saw along its banks as he explored the Yellowstone River. The Greybull River is a tributary of the Big Horn River and is approximately 90 miles long. Native American tribes named the Greybull River after an albino bison bull that once roamed the area. On a cliff overhanging the river near the town of Greybull Wyoming in a pictograph is pictured a buffalo with an arrow through his body. With this picture goes the story that an old gray bull which ranged up and down the river chased by the Indians was finally killed by driving it over the edge of this bluff into the river below. The Greybull River south of Cody Wyoming runs through some of the most remote backcountry in the Greater Yellowstone Ecosystem. The river rises near Francs Peak in the Absaroka Mountains in the southwest corner of the Big Horn Basin. The Wood River, which drains a part of the Absaroka Mountains to the south, joins it west of Meeteetse, continuing through the southern parts of Park County and Big Horn County before flowing into the Big Horn River near Greybull. Along its 90-mile corridor, water travels from snow-capped peaks in the Absaroka Mountains to sagebrush flats and prairie at its confluence with the Bighorn River. The Greybull River watershed is famed for supporting the best genetically pure populations left of Yellowstone cutthroat trout remaining in the west, a species decimated elsewhere in the West by non-native species and altered water flows. Much of the upper river is considered a blue ribbon trout stream, The River’s high-quality aquatic habitat is spurring efforts among many landowners to join with partners to protect and restore this biologically important watershed. If you are chasing Yellowstone Cutthroats. This river's lower half is almost completely private. When you enter National Forest you have over 20 miles of incredible hike-in-fishing, with fish ranging from 10-27 inches this is a crown jewel for Cutthroat in America. Dry fly fishing for Yellowstone Cutthroats is excellent on the Greybull. If you are interested in small stream fishing in a beautiful location this is the place. Much of the Greybull River after it leaves the Absaroka Mountains is private ranch land but access is possible through permission and guided fishing trips. This section of Greybull River in Wyoming is 6 miles long and has been rated as a class I-III section by American Whitewater. Whitewater rafting and kayaking spots in Wyoming are harder than the national norm, so don't forget that quite a few of the sections here are not easy. There are no other sections to paddle along Greybull River other than the Venus Creek to Forest Service boundary section. The wild scenery of the Absaroka Range is great. No matter if you're whitewater rafting or kayaking this is an area with not too many other places for that. To reach the upper end of the Greybull River, continue west on State Highway 290. The road turns to dirt and into Forest Road 208 at the same place. Continue on this road until you reach the Jack Creek Trailhead. The access to the upper reaches of the Greybull River is by foot or horseback. View or Download this 6 page guide to adventures off the beaten path, but all in Big Horn County, Wyoming. These locations include areas of cultural, historic, or natural beauty significance. At the west end of Greybull Avenue in downtown Greybull is a 35-foot floral tribute. It is beautiful in the summer and smells great too! Walk down in the evening and take a look at this favorite photo opportunity. South 2nd Street and 3rd Avenue South. We have an exceptionally family-friendly City Park for a small town. We are proud to have a wonderful childrens play area, skate/skateboard area, ¼ mile walking track, volleyball court, restrooms, gazebo, bbq grills, and picnic tables in the well-shaded park. Located 5 miles east of Greybull, these colorful, eerie, exposed rock formations are part of the Cloverly Formation, a 125 to 11-million year-old sequence of colorful sediments containing important dinosaur remains. A walking or hiking tour will reveal fascinating and picturesque “Badland” spires and weathered hills. Contact the Chamber of Commerce at 307-765-2100 for maps and additional information. Located 5 miles south of Greybull just off Highway 16/20 on Golf Course Road, this great nine-hole course is just over 30 years old. Member-owned, it is open to the public. The clubhouse has a full service lounge and friendly staff. Tee times are not required. Reasonable rates. Midway also offers a driving range, practice green, motorized carts, and rental clubs. The season runs from mid-March to early November. You are invited to see why the members are so proud of Midway Golf Club. Midway is a USGA member course which enforces the nonsteel spike policy. 307-568-2255. Enjoy the Raven's Roost and artistic expressions with a Celtic flair. The Art Shelter can be found one mile east of Shell, Wyoming, Hyw 14 E, across from Dirty Annie's County Store. Many types of aircraft and many different designs have been utilized to combat forest fires since the late 1920's. In the early 1950's, the first modern air tankers were developed and began testing in the Western United States. Our museum's purpose is to preserve a portion of history and is dedicated to education related to the types of aircraft and retardant systems that have evolved over the years into the awesome aerial firefighting capabilities used today. The 5 planes on display are: C-119's/Flying Boxcar, PB4Y-2's/Privateer, and Beech 18/Twin Beech. Welcome to Greybull! Perfectly positioned between Cody, Wyoming and the wild nature of the Big Horn Mountains. We invite you to kick off your shoes and enjoy a less hectic pace, proudly-provided local attractions and affordable and excellent dining, lodging, shopping, and services. The Bighorn National Forest is 80 miles long and 30 miles wide, covers 1,115,073 acres, and has elevations that range from 5,500 to 13,175 feet on Cloud Peak. It has 32 campgrounds, 14 picnic areas, 2 visitor centers, over 1,500 miles of trails, 3 scenic byways, and 2 recreation lakes. Covered in Lodgepole Pine trees. Clear blue skies make this a truly magnificent scenic area. Miles of Snowmobiling trails await you in the high-country. Headquarters: 307-765-4435. 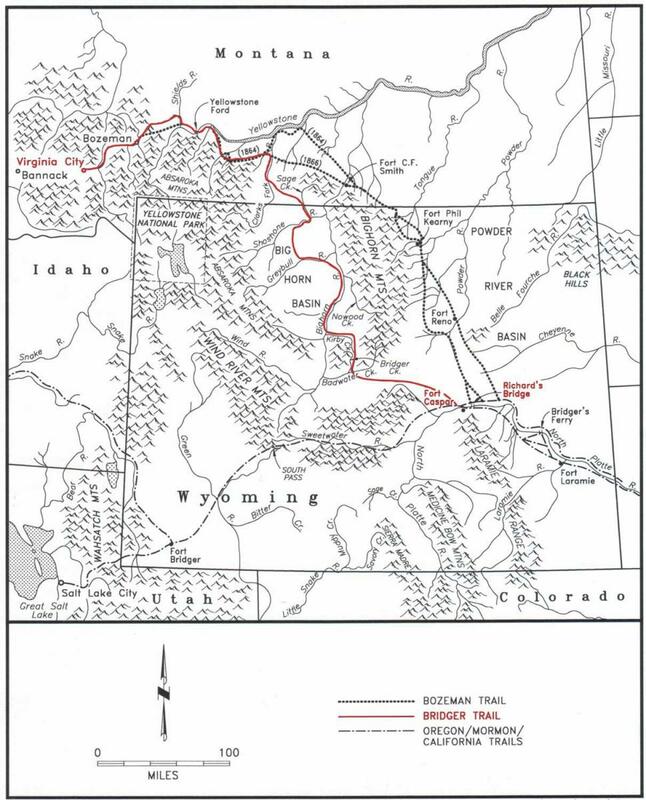 This is a 32-mile route through a mostly untraveled section of the Big Horn Basin. You will spot sheepherder rockcairns from the late 1800’s and early 1900’s, and rock formations in the area paint colorful and varied pictures.Dinosaur tracks can be seen at the RED GULCH DINOSAUR TRACK SITE. Scenic views offer photo opportunities.Area wildlife is often visible along the route. Contact the Greybull Chamber of Commerce for more information (877) 765-2100. Located about 30 miles east of Greybull in the Bighorn National Forest in Shell Canyon, Shell Creek falls over three-billion-year-old granite at some 3,600 gallons per second to make a spectacular waterfall. Scenic views in the Bighorn Mountains are world-class. Walking trails allow for a breathtaking view of falls and the canyon area.Restrooms and handicap-accessible Visitor Center. (307) 765-4435. Permits for the cave must be obtained from the National Park Service at the Bighorn Canyon Visitor Center in Lovell, Wyoming. Caving parties must have 3 to 6 people and contain at least one person familiar with the cave. Only two parties are allowed in the cave at any one time. The entrance is protected by a cage which also protects the cavers’ ropes that are necessary to negotiate the 70-80 foot cave entrance. So far fourteen miles of passageway are known making it the longest cave in Montana. Bighorn Cavern contains a decent variety of stalactites, stalagmites, columns, soda straws and bacon, but the really outstanding feature is the variety of crystal formations. White gypsum flowers, aragonite needles, epsomite crystals in fragile curls, and calcite crystals decorate the cave. We suggest a route over the Big Horn Mountains, going up Highway 14, then down 14A. Stop at the Shell Falls interpretive site where you will see the picturesque Shell Falls as it flows 3,600 gallons of water per second. Afterwards, follow Highway 14 over Granite Pass to Burgess Junction and turn left onto 14A. In the first few miles after Burgess Junction there is a good possibility you will see moose and elk. Pull out on the viewpoints and enjoy the spectacular views off the basin below. Before you reach Lovell, you won't want to miss the wild horses of the Pryor Mountain wild horse range and the Devil's Canyon overlook. Pioneer/local/native American/geological history with many cultural artifacts. Fossil collections from the famous dinosaur dig in the area. Downtown Greybull, look for the red caboose! Free Admission. Open year round, call for winter hours. 307-765-2444. Some great geology and paleontology (fossils & dinosaur) displays! Entrance is free, but donations are appreciated. Hands-on for the kids, big and small! Contact Cliff Manuel at 307-765-2259. This nonprofit attraction is located in downtown Greybull at 537 Greybull Avenue.